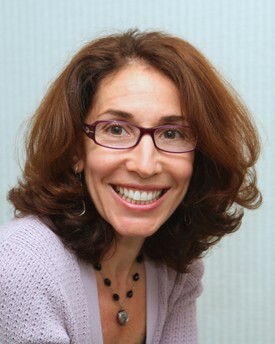 Dr. Diane Axelrod is this practice’s primary general dentist. Born and raised in New Jersey, she earned her Bachelor of Science in Biology from Emory University in 1984 and graduated from SUNY at Buffalo School of Dental Medicine in 1988. After completing her dental residency at Morristown Memorial Hospital in New Jersey, Dr. Axelrod moved to Long Island to practice general and family dentistry. Dr. Axelrod joined her husband, Dr. Andrew Witrock, in practice in 1993. She was on the faculty at SUNY Farmingdale Dental Hygiene Program for many years. As well, she was the first female dentist to work at Madonna Heights Residential Treatment Center, helpiang adolescent girls facing a variety of medical and emotional challenges receive dental care and education. Throughout the years, Dr. Axelrod has enjoyed being an active member within the community. She is well respected for her efforts to share both dental education and career awareness to children and young adults by speaking at school health fairs, career days, and hosting preschool and scouting events at her office. Dr. Axelrod's gentle and positive approach has allowed even the most apprehensive and sensitive patients to strengthen their own confidence and comfort level to achieve and maintain a lifetime of dental health. In her free time, Dr. Axelrod enjoys exercising, cooking, and reading. She also appreciates spending time traveling with her husband and their three young adult children.